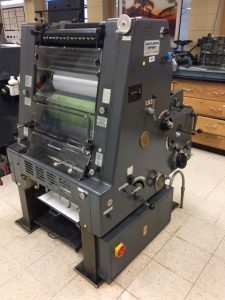 The college is retiring a Heidelbert GTO Lithography Press. Model 16585/ 1695774/ 00453 . This press is 40+ years old. It has been used in a classroom setting and is being retired for newer equipment. It is in working condition. As is.